It's been 18 months since our BETA made an ironic splash on April 1st 2012. We figured it's time to communicate what our goals are for a 1.0 general release. The player movement code (pmove, for short) has been significantly refactored to feel more like Quake II, but more consistent and accessible to new players. Also, mods will now be able to provide their own pmove implementations, thanks to efforts to move client-side prediction into the cgame module. 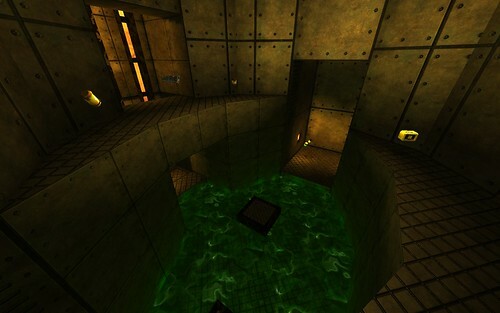 We hope that this will encourage more inventive ports of popular Quake II mods like Action and D-Day. 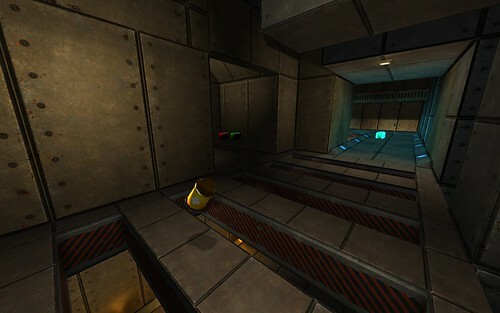 The popular PhysicsFS filesystem abstraction library used by the Build Engine and other notable games replaced our Quake2-legacy virtual filesystem (VFS) implementation. PhysFS is highly performant, completely portable and well-tested. It also supports numerous archive formats such as .pk3. All of Quake2World's assets are now bundled in Quake III: Arena .pk3 (ZIP) archives. This brought our game data down in size from 500M to 200M. Our BSP compiler, Q2WMap, has been updated to automatically create .pk3 archives from your custom maps, too. 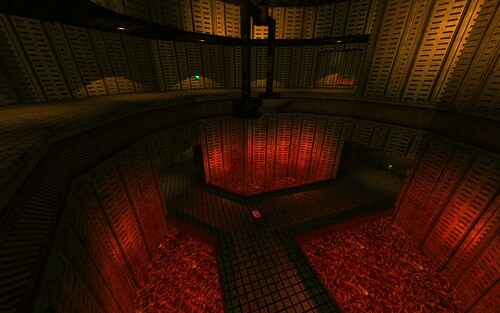 Mapping for Quake2World has never been easy, especially for Windows users. 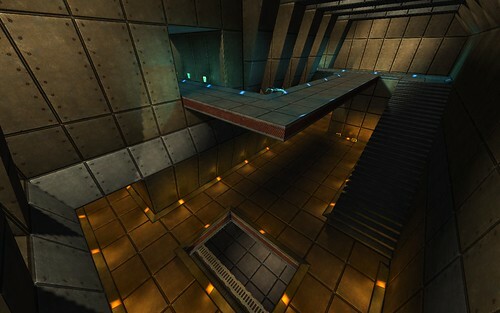 We have teamed up with GtkRadiant and taken tremendous strides to eliminate the barriers and snags to mapping for Quake2World, on all 3 major platforms. More on that below! The core foundation of the GNOME platform, GLib was integrated to provide universal string handling, path name manipulation and collections management. The consistency and efficiencies gained by leveraging GLib throughout the code allowed us to eliminate dozens of small, old bugs and greatly reduce level loading times. 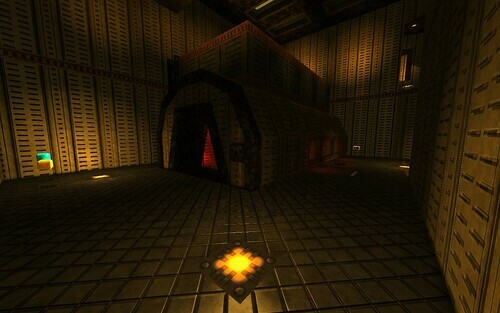 Slightly late to the game, Quake2World migrated to Github back in June. 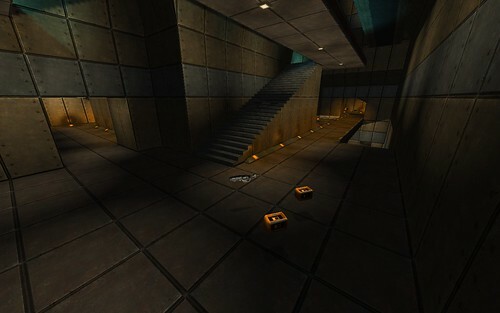 The code and data live in separate repositories: quake2world and quake2world-data. If you find bugs in the current BETA, you are encouraged to file issues there. maci was good enough to invest hours and hours into setting up a proper continuous integration environment for us running Jenkins. While the Jenkins portal itself isn't directly helpful for end-users, it has greatly improved the availability of our builds. 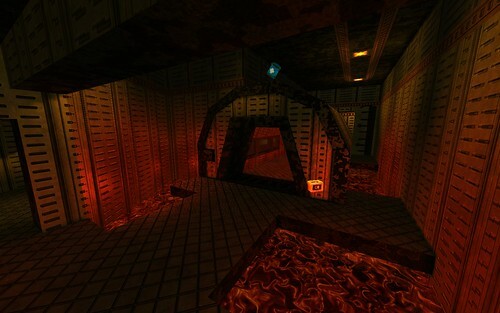 Our highest priority for the 1.0 general release is to provide quality remakes of the classic Quake II deathmatch levels. 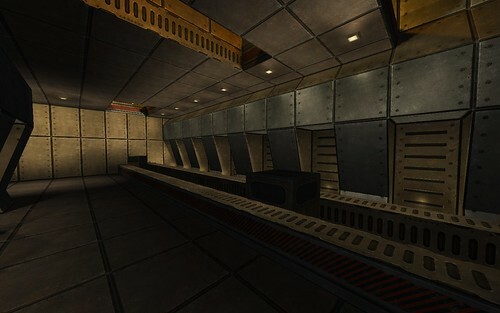 Panjoo has started us off on the right foot with his superb rework of The Edge, and TRaK, before retiring from the project, gave us an excellent head-start with initial cuts of The Frag Pipe and The Warehouse featuring his own original textures. 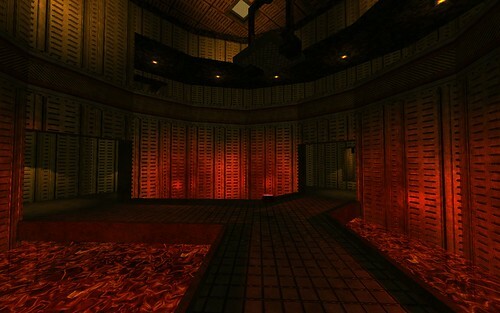 We are seeking new mappers to pick up the torch and see these maps through to completion, and to port the remaining Quake II deathmatch levels as well. And to that end, we've upped our game by providing the very best tools and support we've offered to date. 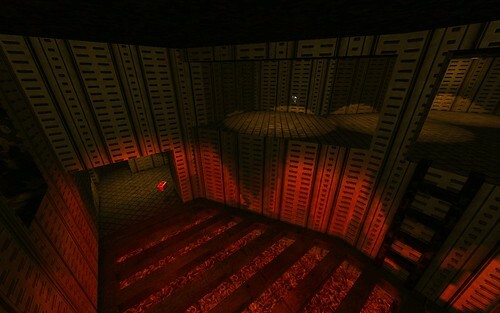 Since Quake2World's inception, the NetRadiant editor has been our tool of choice for level editing. Unfortunately, NetRadiant seems all but unmaintained these days, and several long-standing issues with it led us to seek an alternative. While we may eventually support NetRadiant again in the future, it was time to make a change..
By joining up with TTimo's GtkRadiant maintenance effort, we have fixed several long-standing issues for mappers on the Windows platform. Namely, GtkRadiant 1.6.4 now supports per-user game data directories, so mappers no longer have to navigate the perils of placing their custom assets in the official game directory (where Quake2World's Update process will delete) them just to make them visible to Radiant. Additionally, Q2WMap now integrates with GtkRadiant, allowing BSP process monitoring through the in-editor BSP compilation menu. This allows Q2WMap to send realtime feedback directly to the Radiant user interface, and select malformed brushes, point the user to leaks, etc. Moreover, all of the compiler's output gets logged right in the Radiant console -- no more console window popping up and then disappearing before you can read the results. 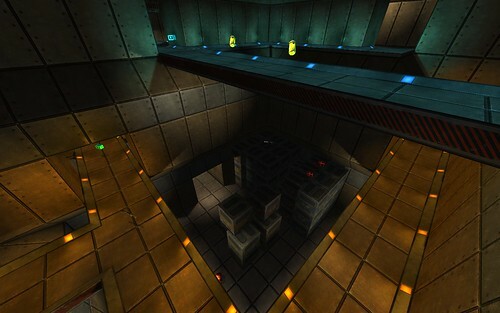 For the first time ever, users of Mac OS X will be able to create levels using GtkRadiant, too. As a Mac user myself, it was imperative for me to have a working editor, and so I'll now be providing packaged OS X builds of GtkRadiant for users running Lion and Mountain Lion. Snow Leopard users will be able to compile their own copy by following my build instructions. Look for the OS X builds of GtkRadiant 1.6.4 to appear on the project site soon. Finally, the Quake2World entities definitions file for GtkRadiant has been completely rewritten to be more accurate and readable. 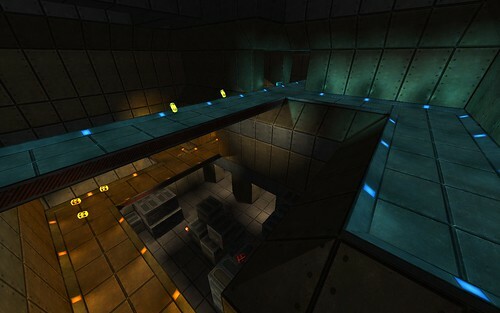 Frankly, it's at least as good as Quake III: Arena's, which should make mapping for Quake2World less confusing and more productive than ever. While client binaries for GNU / Linux have proven difficult to provide in any distro-agnostic way, we are committed to providing dedicated server builds for i686 and x86_64 Linux, complete with an rsync-based update channel. Expect to see this in Q4 of 2013. I'd also like to mention that, "post-1.0," we'll be taking on more major challenges such as AI and bots, upgrading to SDL 2.0, and providing more user-friendly in-game menus. But for right now, we're focused on our 1.0 goals and.. Sounds like a lot of work, doesn't it? That's why we need your help. Contribute or spread the word! If you have a skill set like mapping, texturing or programming, or if you know someone who does, please get in touch on our forums or IRC (#quetoo on irc.freenode.net). Want to help beta test? That's cool, too -- post a thread or say hello on IRC. All levels of contribution and participation are welcome.